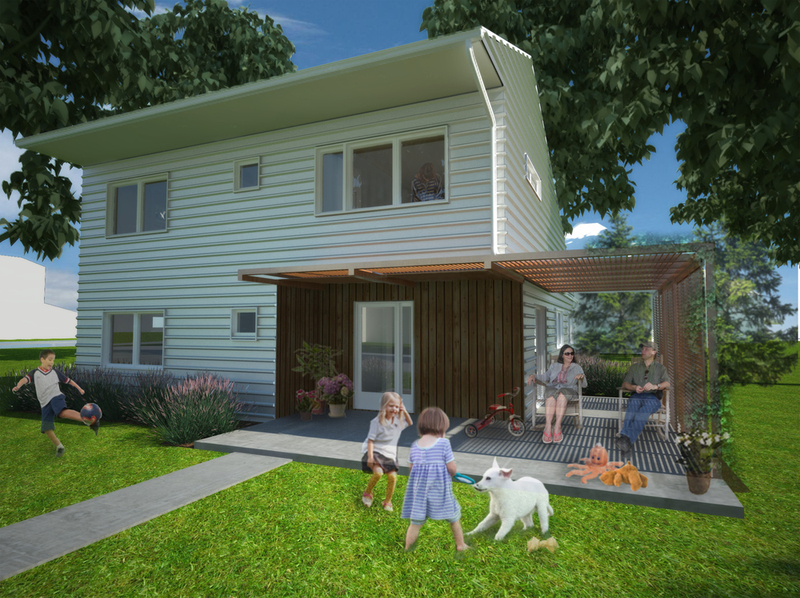 The Social Economic Environmental (SEE) House prototype incorporates sustainable building systems and prefabricated construction methods for replication on appropriate sites throughout Allegheny County. Developed in collaboration with Lawrence County Habitat for Humanity, the SEE House aims to be socially, economically, and environmentally sustainable as outlined by John Elkington’s "triple bottom line" sustainability theory. Careful building siting and passive building systems will reduce energy bills to help lessen financial stress on the residents. 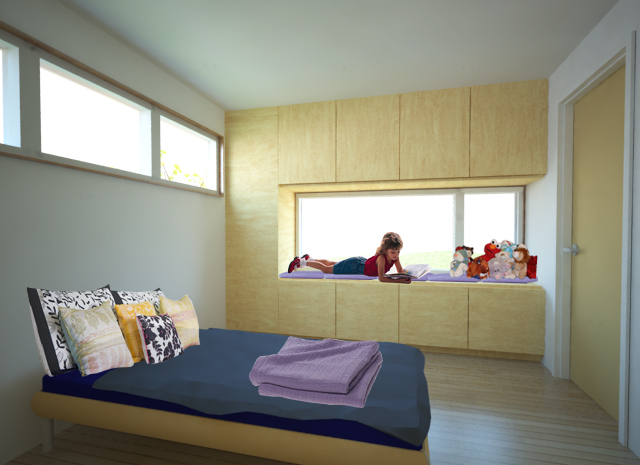 The house was designed using panelized construction and simple detailing so it could be easily built by volunteers. Important features of the house are the double height living space and shading porch trellis that encourage social interaction within the family and with the surrounding neighborhood. The 1000-square-foot house includes 3 bedrooms, 1.5 bathrooms and a large open plan for the public living, dining, and kitchen spaces. After a year-long design process, complications prevented the SEE House prototype from being built. If you are interested in the design, please contact us. We would love to see this work become a home.